Mine was guessed correctly, Venom or someone else may post a photo. No worries, I've been busy myself. 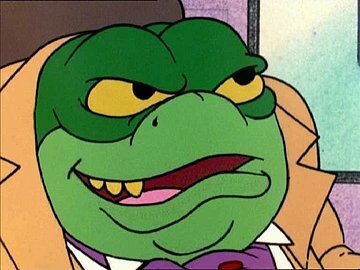 He was the antagonist in "Danger Mouse", I forget his name. It's been a long while since I saw that show. My friend is a cartoon person, and he showed that one to me. Good one! Hint: The show is a British comedy. Hint: The show started in 1970 and ran for a decade long. The show had a similar title to "The Goonies". The show was to be named Narrow Your Mind and prior to that title was Super Chaps Three. The character in the picture appeared in one episode. I don't want to give the answer as I don't want to post a photo, but I will say that I'd happily buy a complete collection of this show's episodes if it was ever released here in the States. The person who answers correctly doesn't have to post a photo. If the previous person's photo is guessed correctly, then anybody else can post the next photo. It usually is the person who answered correctly who goes next, but it doesn't have to be. Someone, please, feel free to post away. As javakoala said, anyone (except for me) may post a photo.